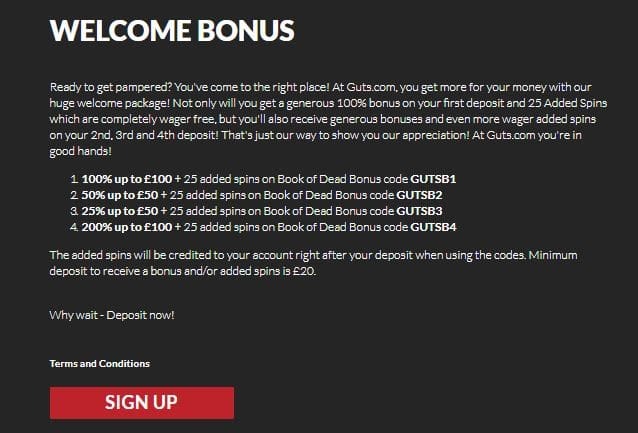 Receive an outstanding 100% up to £100 match bonus on your first deposit at Guts Casino by using the GUTSB1 promo code. The minimum deposit you can make in order to qualify for this is £20. You'll also get 25 extra spins on the amazing Book of Dead. There's no reason to postpone because your chances to win increase as you play. Start placing your bets and grab those generous prizes now!